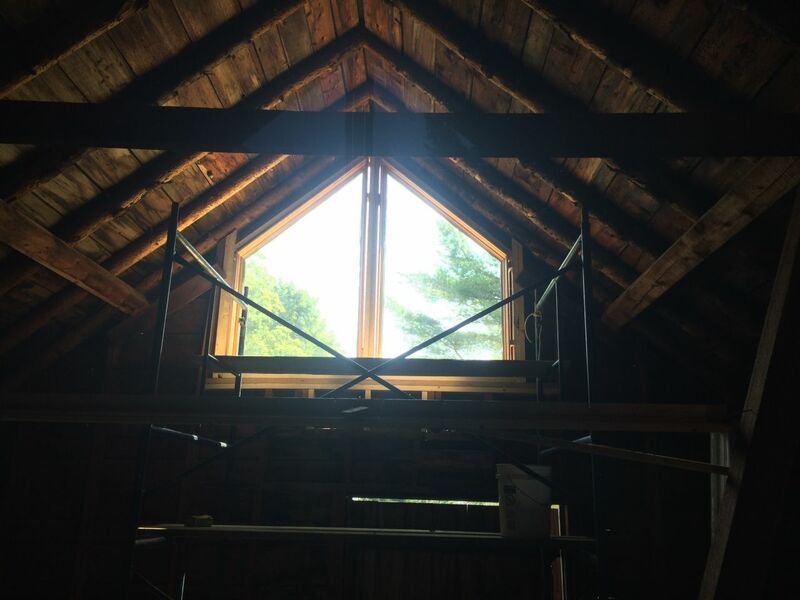 New windows at the peak increase the light in the loft of this old barn. 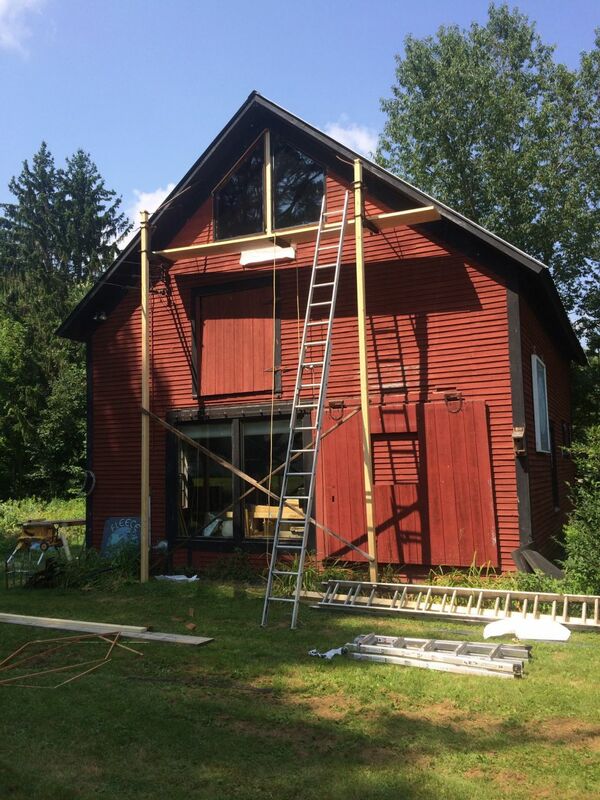 This project involved installing new (used) trapezoid windows in the peak of this barn. 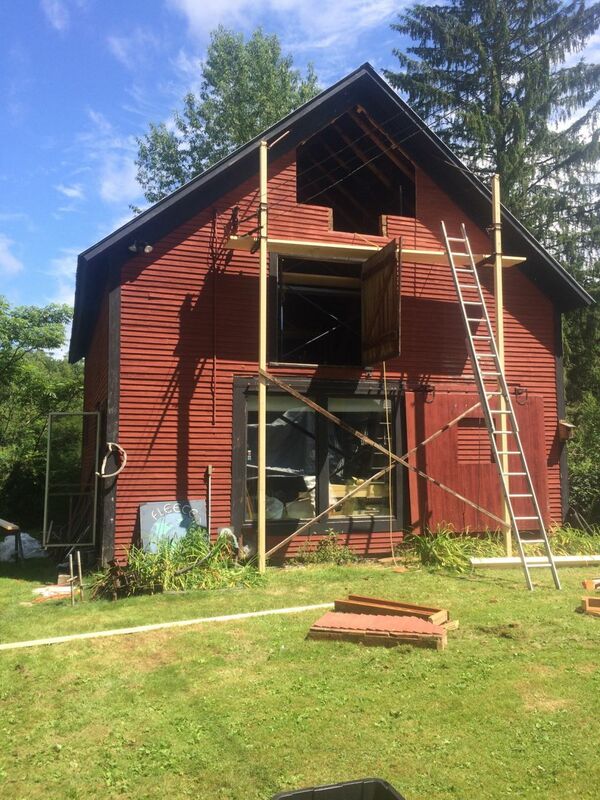 Amazingly the owner found these trapezoid windows on Craigslist with an angle matching the barn roof! Some careful measuring and planing and the new rough opening accommodated the trapezoids perfectly. A big slider is yet to be installed in the space below it. Coming soon! 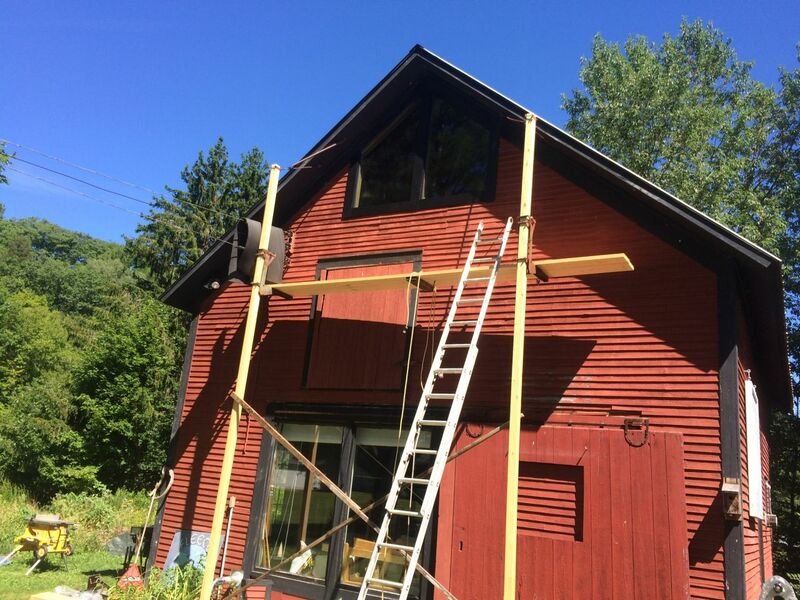 the only piece of house wrap on the whole barn! 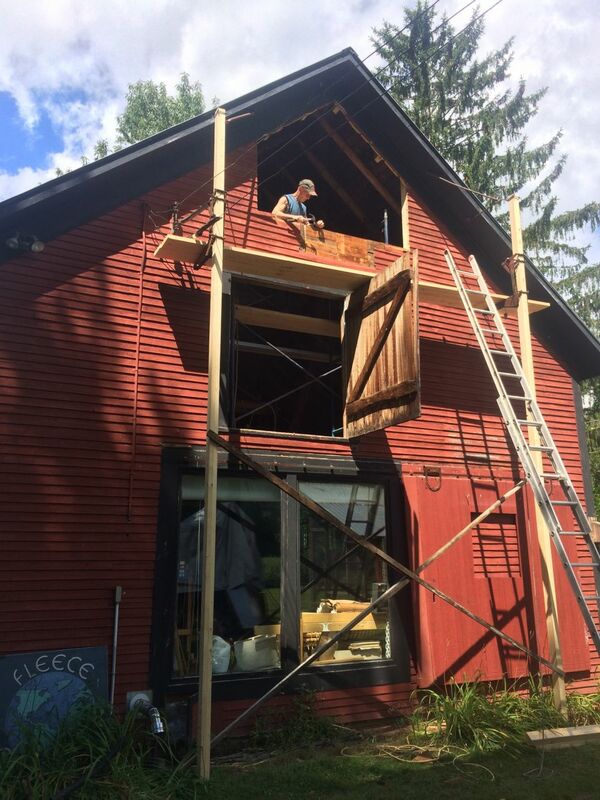 The devider between the two trapezoids installed. 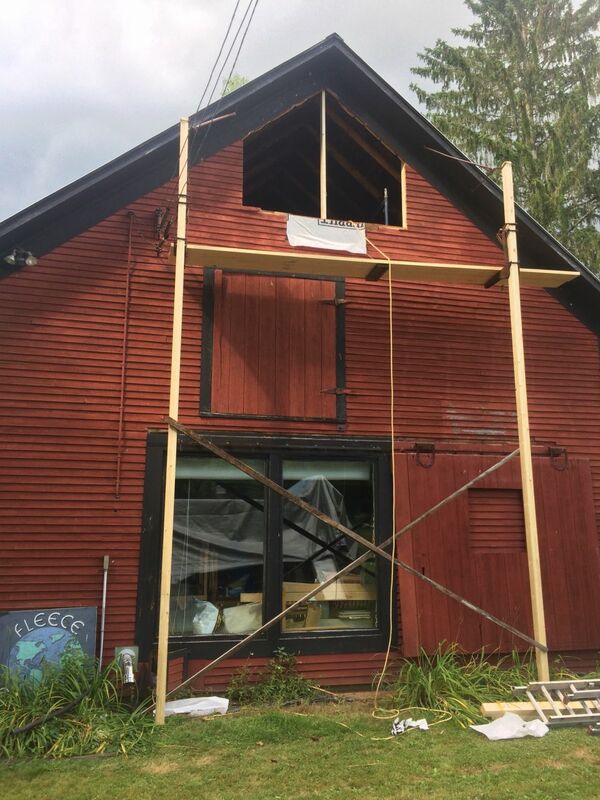 Some odd bracing in the roof structure. 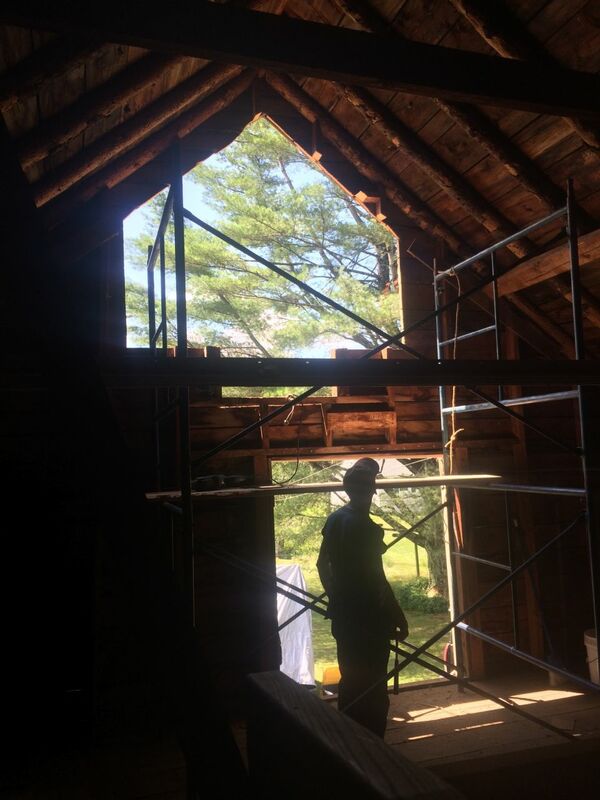 Two trapezoid windows found used with the same pitch as the barn.